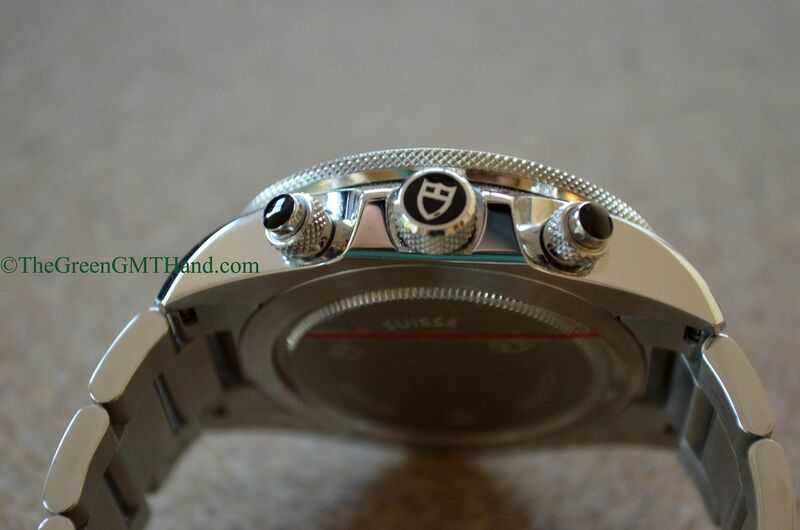 This is one of our favorite modern Tudor (owned by Rolex) timepieces. 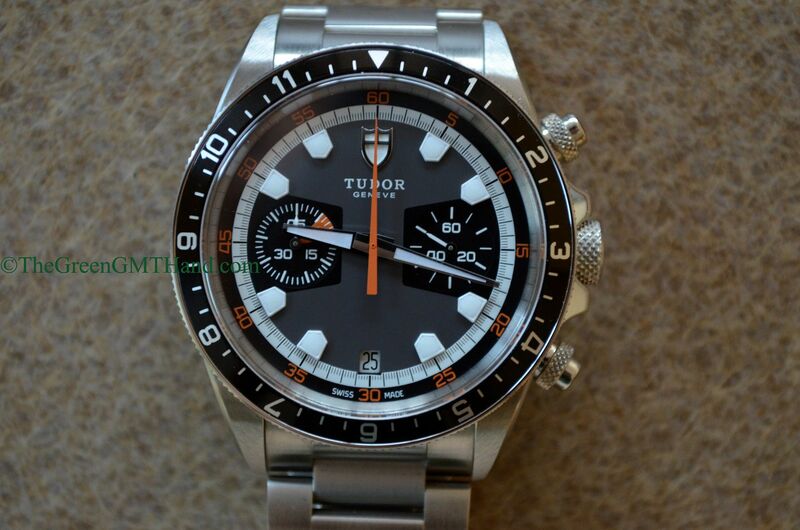 The Tudor 70330N is a heritage tribute to the original Monte Carlo chronograph, and this is one of the most accurate and handsome Tudors we have ever handled. 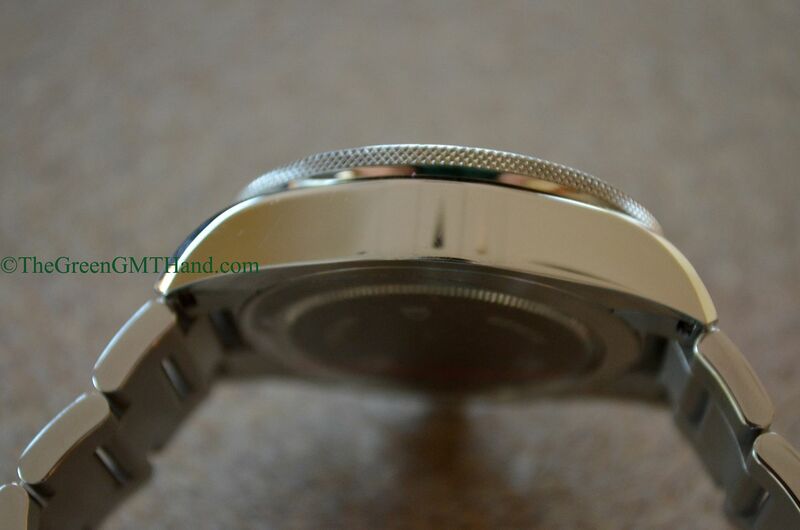 There are three dial variations of the 70330, one with black dial and grey subdials, one that is blue and white (70330B), and one with grey dial and black subdials. 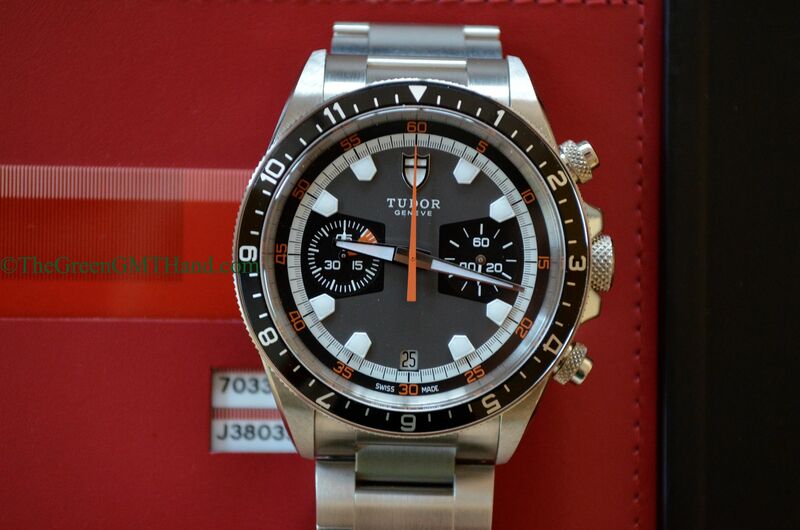 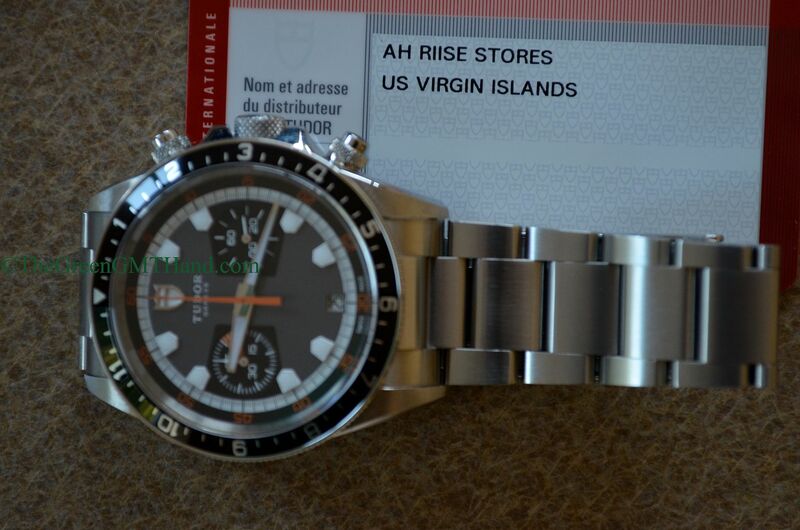 Our Tudor here is the grey dial with black subdial model, and it comes as complete as the day it was sold. 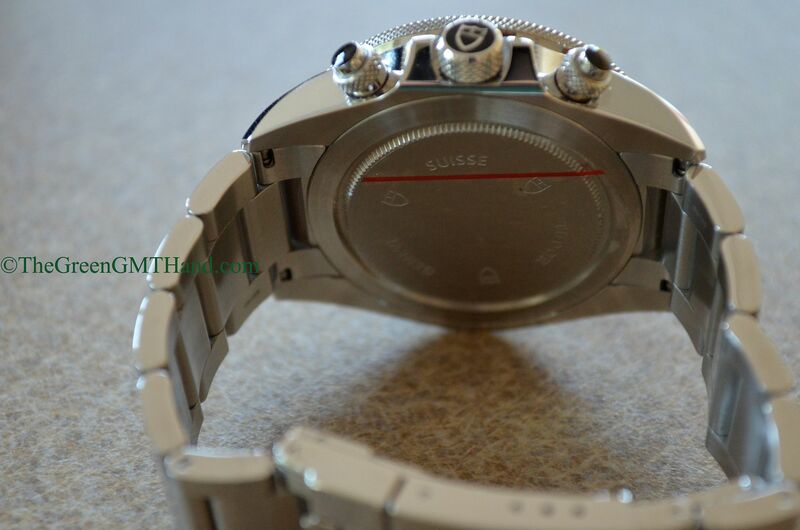 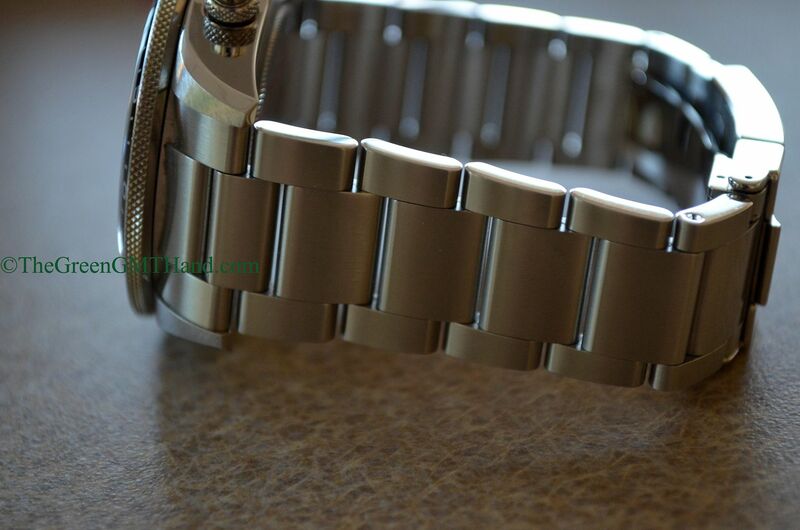 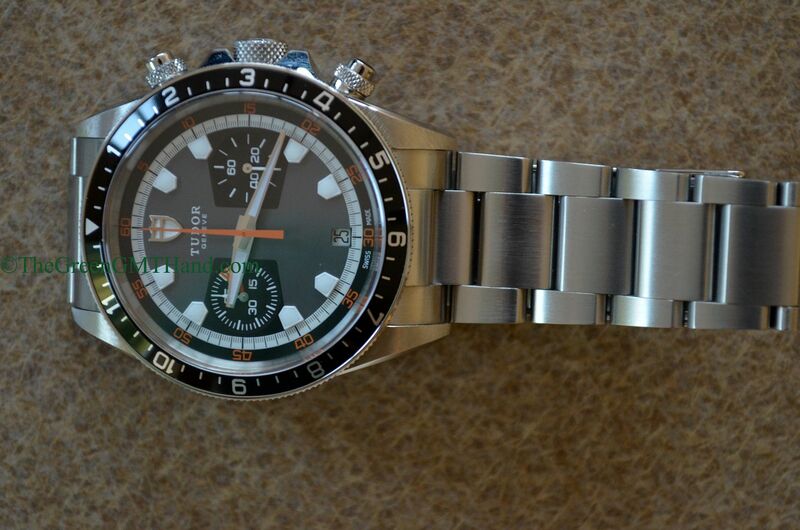 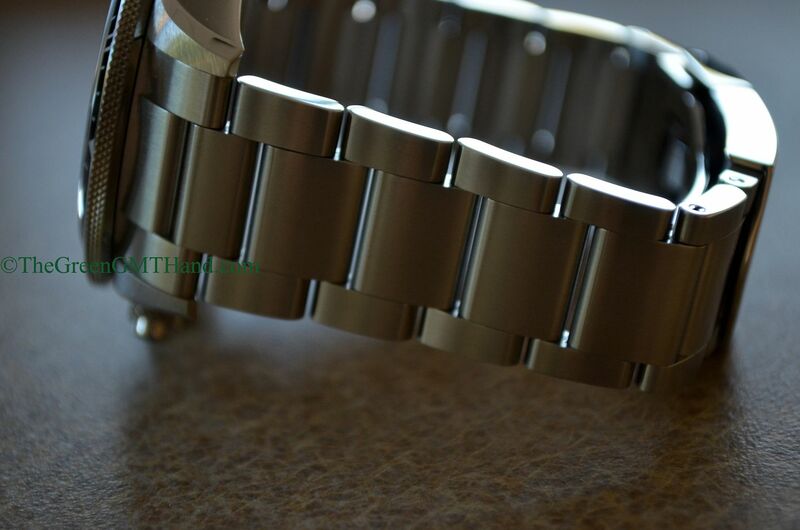 It features a top tier ETA chronograph movement that has been modified, decorated, and engraved by Tudor. 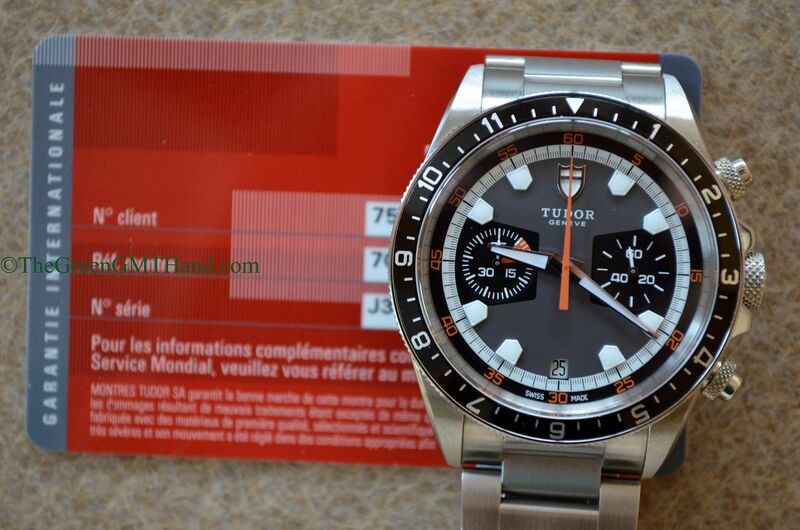 Unlike the Daytona, this Tudor also has a date window at the 6. 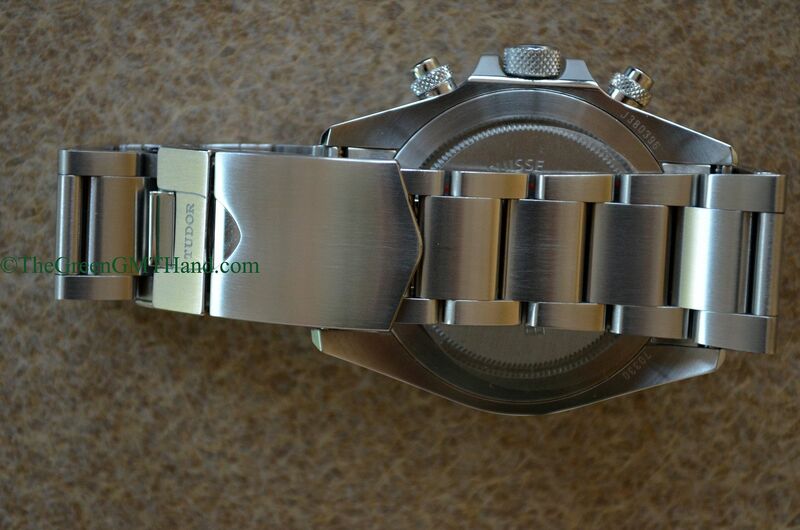 It comes with a fabric Tudor NATO strap with buckle. 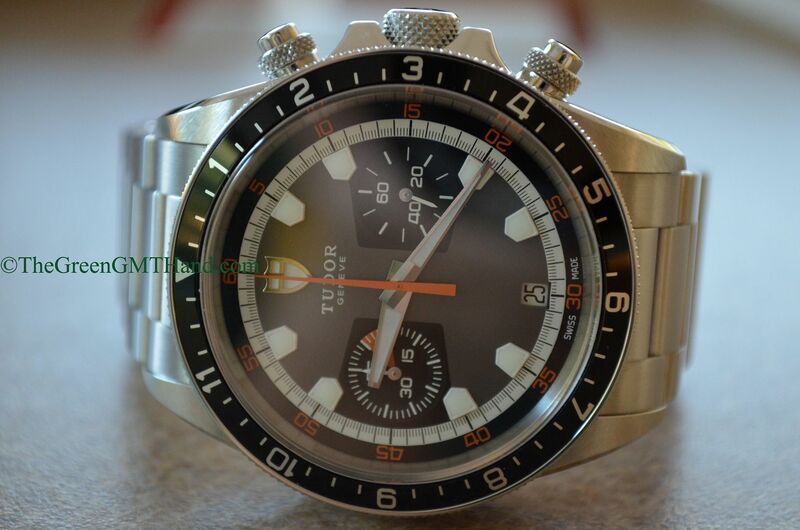 Compared to a $12,000+ Daytona, we believe this Tudor chronograph to be one of the best overall Swiss chronographs in the market today in terms of value. 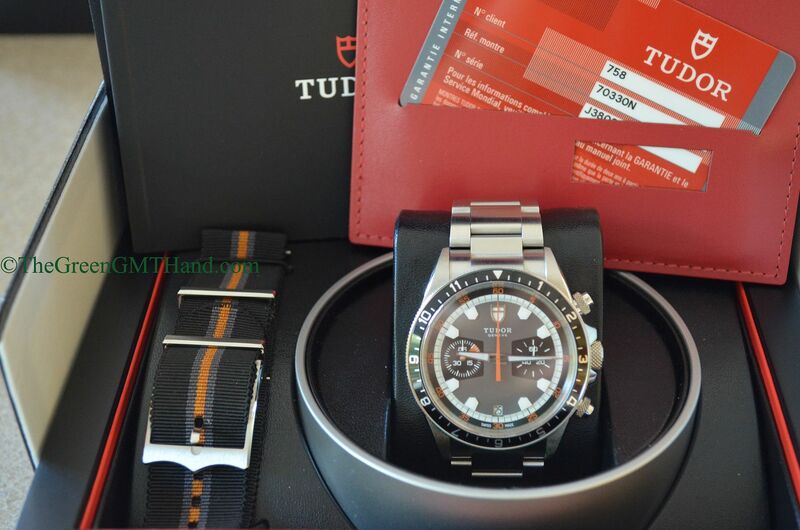 SOLD and delivered to our buyer as a complete set with original Tudor boxes, warranty card, manuals, and extra factory fabric strap.